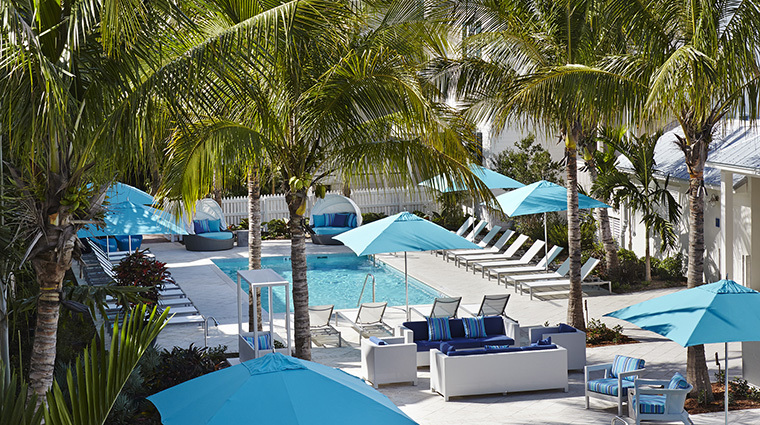 Key West’s The Marker Waterfront Resort is an outlier in opulence. Though the town’s been popular with vacationers for decades, there haven’t been many new hotels erected. And locals are just fine with that. Look around and you may find a few paint buckets here and there, but there will be no cranes or major construction sites obstructing the Gulf of Mexico views. All of which makes the ascension of The Marker so fascinating. 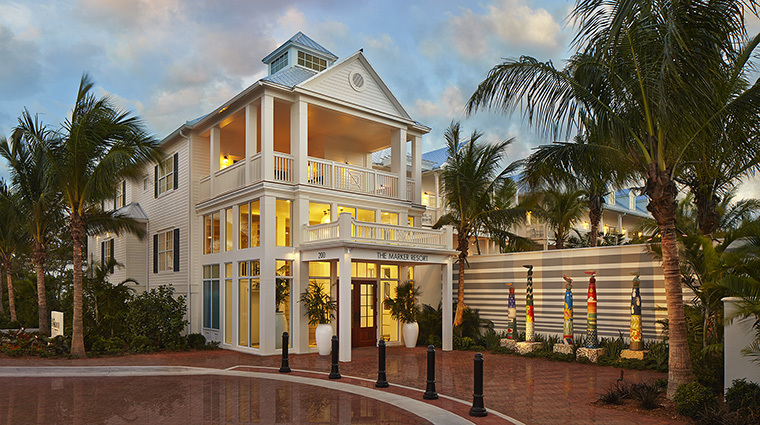 The first new-build hotel in 20 years in Old Key West, the two-acre property that opened December 2014 easily could have become the poster child for everything locals hate about progress. 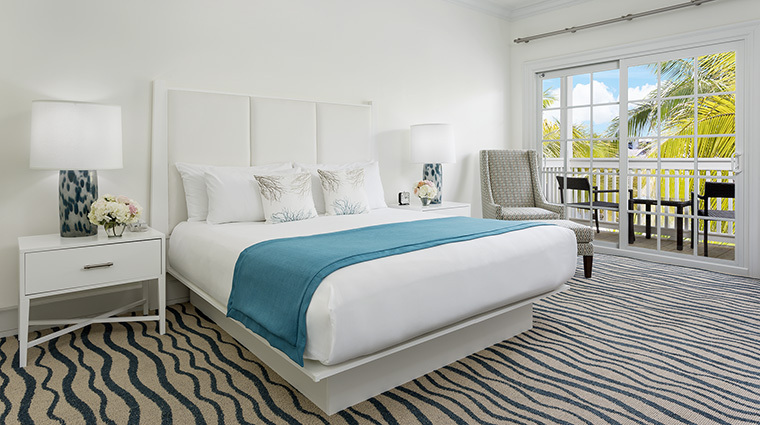 But because the luxury hotel was so thoughtfully designed and constructed, The Marker’s been nothing but a welcomed addition to the tight island community. 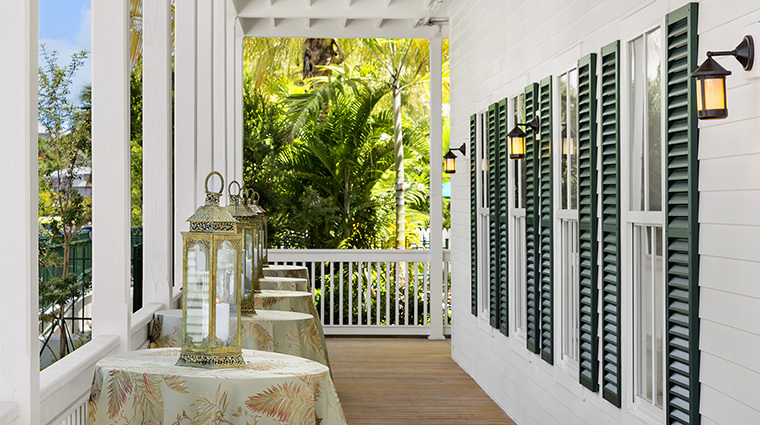 The Marker’s cool exterior (think Caribbean cottage swathed in creams and pale blues and surrounded by palms) gives a relaxed vibe without ever breaking a sweat — even in the 90-degree heat. 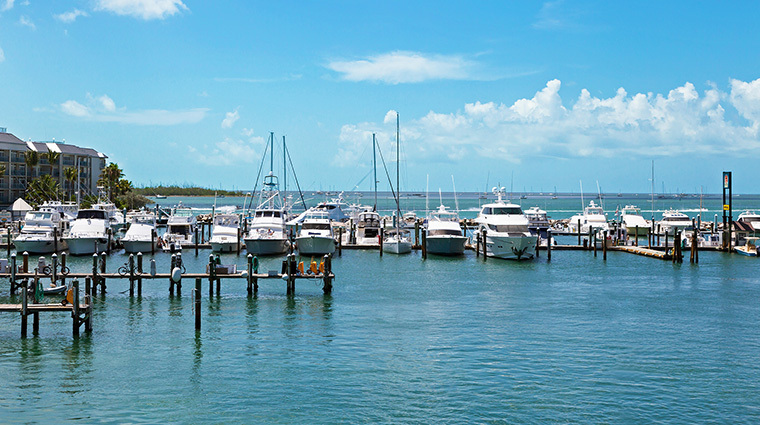 Seeing as how The Marker is positioned right off the Key West Bight, the faint sound of music shouldn’t come as a surprise — you are mere feet from popular live entertainment spots like Schooner Wharf Bar. You’ll probably get a hint of The Marker’s artistic side before you even hit the reception desk. 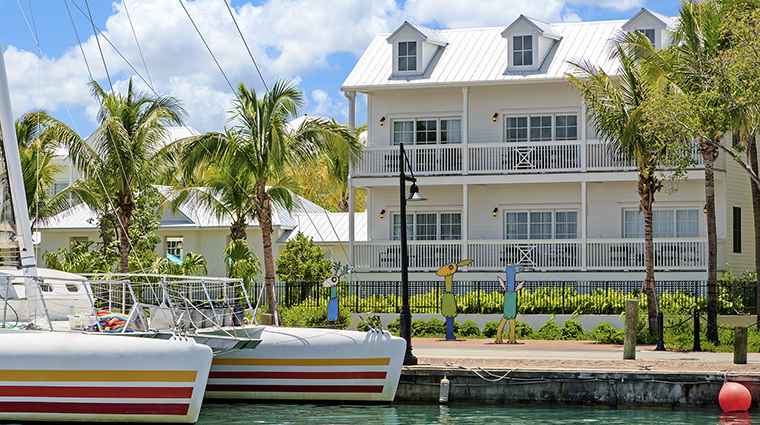 Greeting you out front is Key West artist Adam Russell’s “Five Watchovers,” a collection of seven-foot sculptures representing various aspects of island culture. 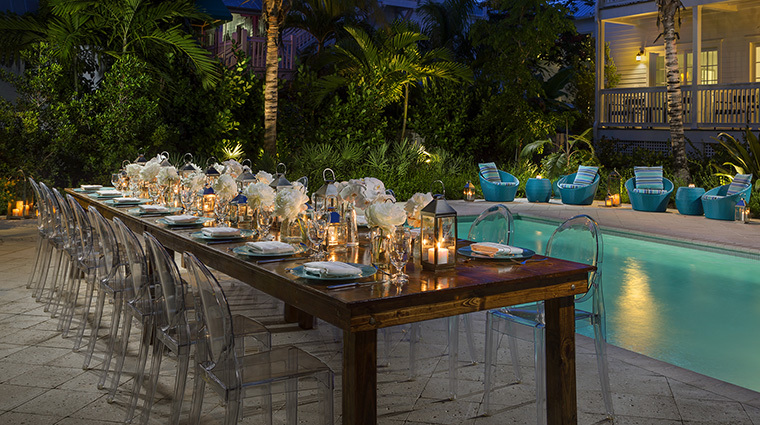 Three sparkling pools ensure that you can enjoy some fun in the sun without overheating. 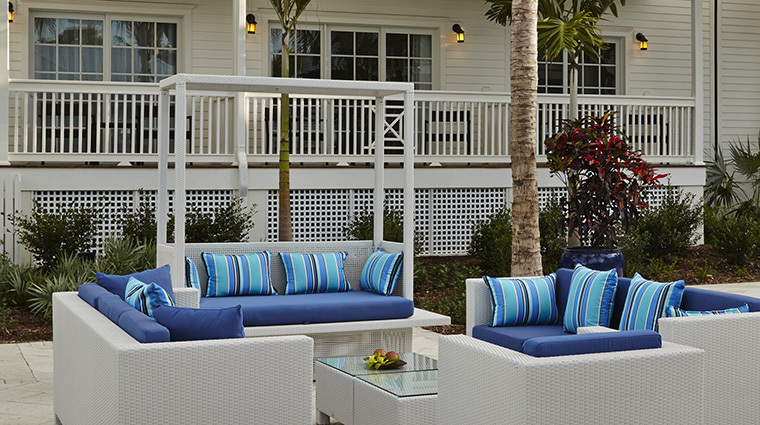 White chaise lounges provide the perfect perch, along with a cocktail provided by the poolside service that extends well into the evening. 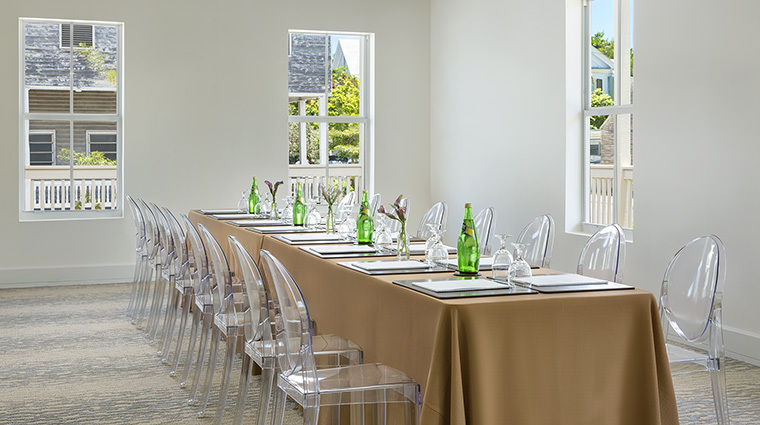 Once inside the hotel, you’ll walk under avant-garde light fixtures and pass artwork from local artisans. One of these local legends, John Martini, created a trio of eco-inspired animal sculptures that you can admire outside near the waterfront. 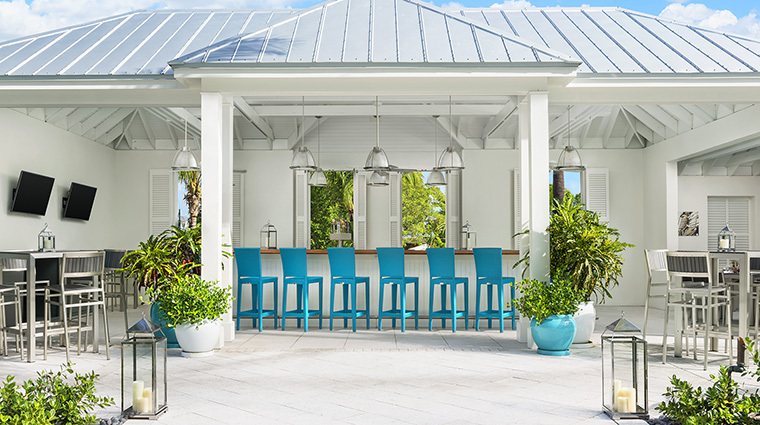 Before you’ve even had a chance to hear the country plucks of the Paul Cotton Band at the downtown music venues, head over to the world-famous Kermit’s Original Key West Key Lime Shoppe for a slice of heaven or drop by Conch Republic Seafood for the daily catch. If you crave even more of a Key West experience, make the three-block stroll over to Duval and Greene streets. There, you’ll find a host of watering holes to your left, cute souvenir shops on your right and all kinds of sweet treats in between. 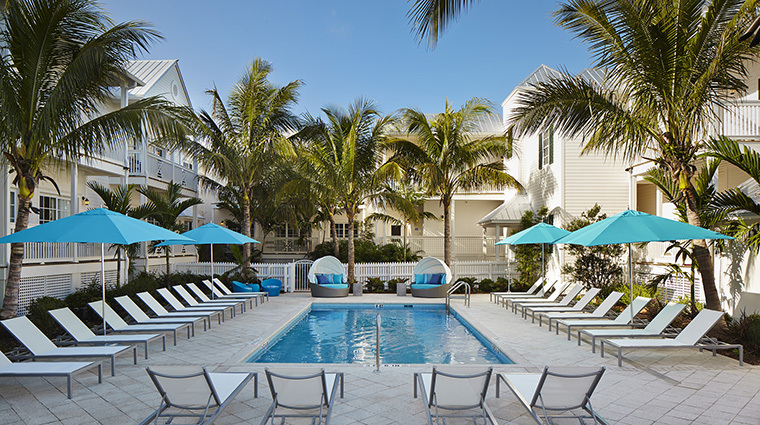 Free Wi-Fi is provided through the hotel, though with three stunning pools, a beach and quaint Key West Bight within your reach, you’ll want to unplug here. 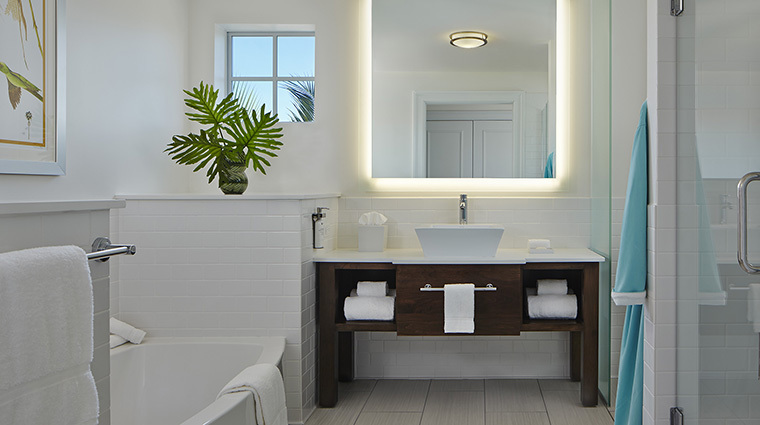 Broken down into four categories (from classic rooms to the Captain’s Quarters), every unit has fun carpeting, a white entertainment center and a sleek bathroom with vessel sinks and chrome finishes. 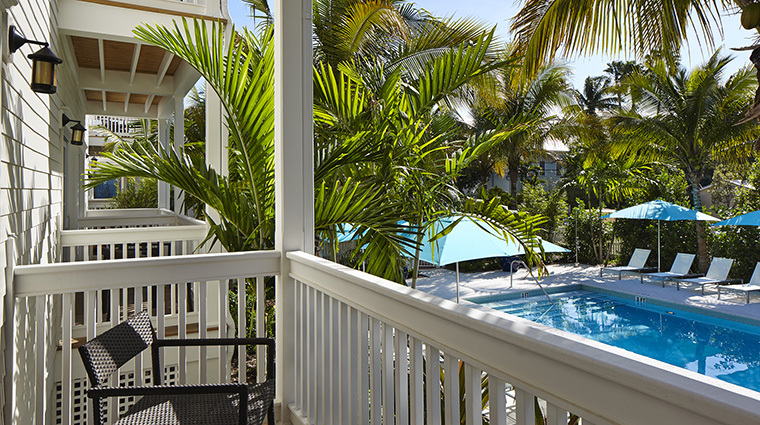 Another commonality in the rooms is the view from your private balcony. 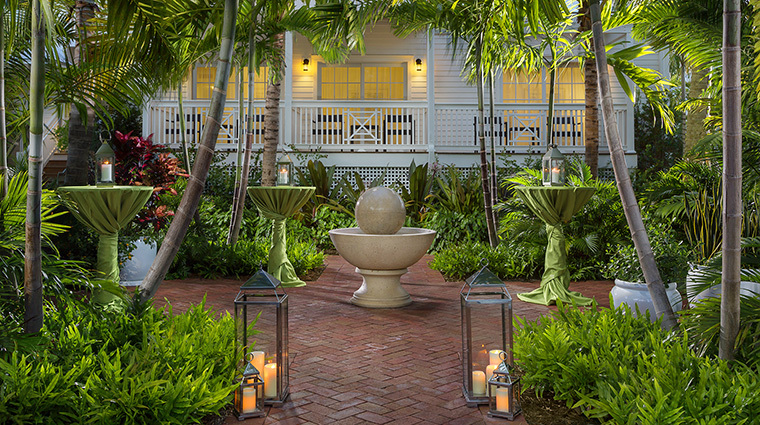 Depending on where you are, you’ll see the courtyard or the Key West Harbour between the palm leaves. 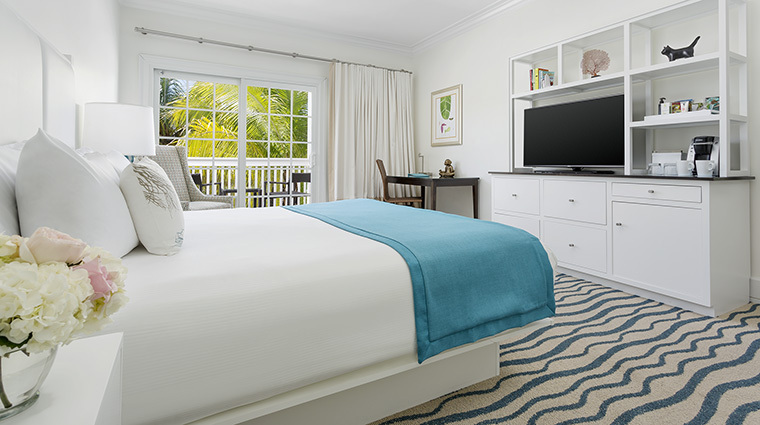 All of the Key West hotel’s accommodations are white-clad with pops of turquoise. 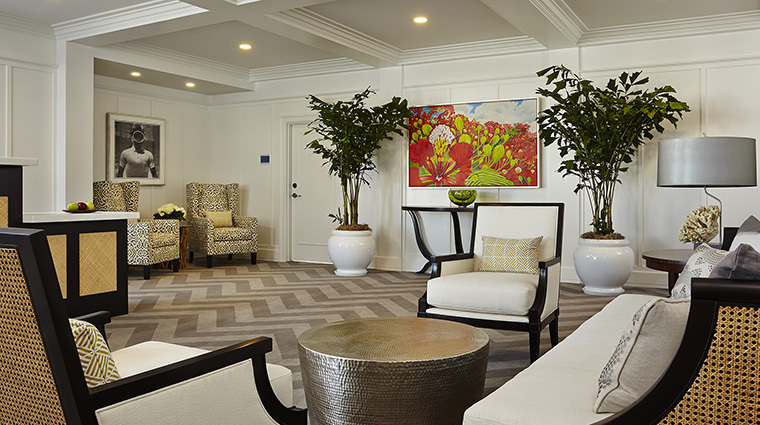 The blue wave pattern on the carpet remind you that you’re at the beach—if the stunning ocean views don’t already. Cero Bodega, the relaxed eatery near the main pool, offers a solid Cal-Mex-influenced menu without the side of pretense. The citrus balsamic baked wings are an unfussy starter that works well. Dive into the flavor-packed Parmesan fettuccine with Key West pink shrimp, asparagus, kale and red peppers while taking in an island sunset at the Bodega. 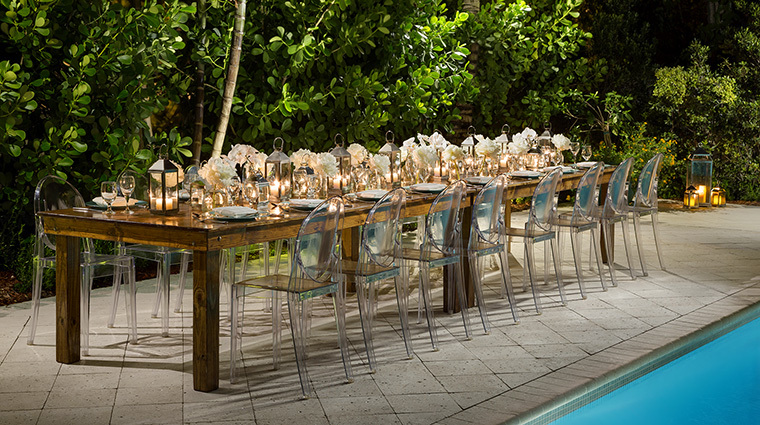 Essentially in the same outdoor space as the restaurant is the 32-seat poolside bar. With the gifted Agota leading the charge behind the counter, you’re free to go as safe or as adventurous as you’d like with drink selections. Order a raspberry mojito or one of the daily specials advertised on the chalkboard. It’s a smart bet that the drink will be done with fresh fruit and given just the right pinch of love by the bartender.